Bristol Rovers FC Disabled Supporters Association (BRFC DSA) was formed in May 2017 following a Consultation meeting arranged by the club and Disability Representatives from the Supporters Club. The Bristol Rovers Chairman was also in attendance. Over thirty supporters gathered to hear from the panel which included representatives from Level Playing Field and also David Munn from Yeovil Town DSA. The evening was very positive and lead to a Steering Group Committee being formed. 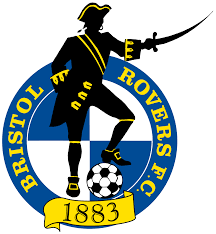 With support from Level Playing Field, the Disability Representatives and the Football Club itself the Bristol Rovers Disabled Supporters Association was established. The BRFC DSA will represent all disabled supporters of Bristol Rovers FC in their dealings with the club and will, where possible, assist in raising funds for the purpose of improving facilities for disabled people at The Memorial Stadium. The BRFC DSA wishes to assist all disabled fans on matchdays. We will contact all visiting clubs to The Memorial Stadium (irrespective of them having a DSA or not) and offer assistance to any disabled members of that club concerning their visit to The Memorial Stadium. The BRFC DSA will endeavour to encourage and organise social events for members. It is hoped that in the time the BRFC DSA will be able to actively participate in matchdays by sponsoring the match/match ball/programme. The BRFC DSA will work hard to continue to build good working relationships with the officials of the club. We want the matchday experience to be enjoyable for all. By raising awareness of all disabilities – we hope that everyone can visit The Memorial Stadium and support their team – together!